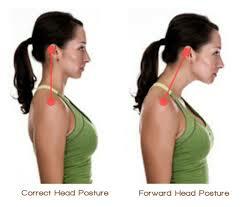 If you have experienced neck pain, you will know how disabling it can be. We know that two thirds of us will experience neck pain at some point in our lives. Of those, three quarters will have a relapse of their symptoms within five years. How likely are you to get neck pain? Well some people are genetically more likely to get pain in the neck. However, those who smoke, have poor physical fitness, and develop poor postures are more at risk. We are now more sedentary than ever before and the postures we adopt will put our neck at risk. 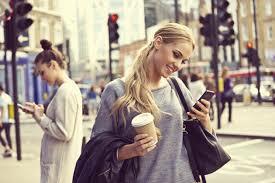 Think about mobile phone use on your commute to work and the posture of your neck…….. 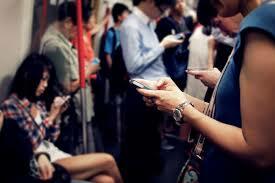 Even before you have reached work you have been using your smartphone and loaded your neck joints and ligaments. Then when you are at work is this a familiar scenario for you? We tend to adopt a “poky chin” type posture when holding prolonged position which looks a bit like this….. Adopting this type of position will put stress on the ligaments at the back of the neck, which will result in the neck being less supported. It also means that the core muscles will not work as effectively, again resulting in less support around the neck. This will ultimately, over time, give rise to pain. 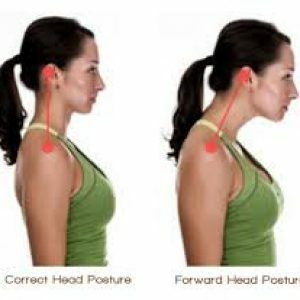 Problems with the neck will often give rise to pain. This pain can be one sided, or affect both sides of the neck. It can radiate round to the front of the neck, and can also travel down into the shoulders. 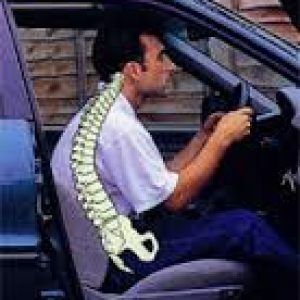 Sometimes, despite the root of the problem being the neck, the pain is felt only in the shoulder and arm. It is also common to experience headaches too. Often you will notice a loss of movement. This can often be decreased rotation- so you can’t turn your head as far to one side. The pain can travel down one arm and into the hand. This pain can be more “nervy” and can be quite sharp or shooting. Occasionally this pain can be associated with altered sensation and even loss of power. If this is the case then we advise seeing your GP, and then having a course of physiotherapy. The principals of recovering from neck pain are very similar to that of back pain. If you are in severe pain, then firstly we need to improve that. 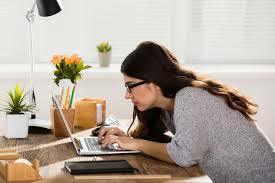 Addressing your desk set up at work can help to correct poor postures such as the one above. You may need to visit your GP to start some pain relief. Physiotherapy can also be helpful to address some of the tight soft tissue, or to mobilise stiff joints. Pilates exercises focuses on working the whole body in excellent postures. It is an extremely effective method of rehabilitation for spinal pain. If you have mechanical neck pain, and you are not in severe pain then Pilates will work on your posture, gently strengthen the core muscles around the neck and stretch the neck out. 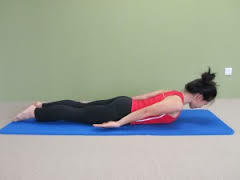 During Pilates, we will exercise your deep neck muscles, in a variety of positions. Occasionally we have clients who feel pain in their neck during Pilates. We will always stress that feeling the muscles working is normal, however pain in the back of the neck is not. At this point we would suggest a 1:1 Pilates session to check your positioning, or some physiotherapy to check the neck is moving as it should. Why not try these simple exercises as a starter for 10? Place on hand behind the back, and the other on the side of your head. Gently pull the ear down towards the shoulder. Turn the head slightly to change the stretch. Hold for 20 secs three times. Lie your head on an ovaball and gently rotate the head slowly from side to side 10-15 times.